Ellie Claire produces beautifully crafted journals, devotionals, and other creative gift and paper expressions. 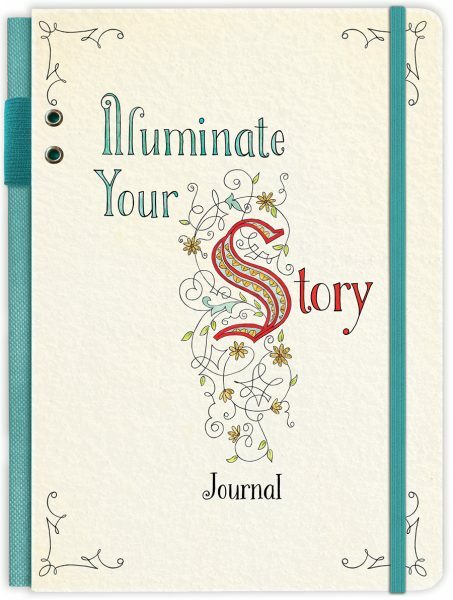 Ellie Claire interactive art journals help you get creative with your quiet time. 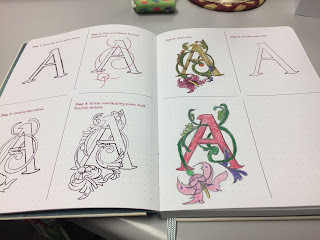 I was fortunate enough to be given the opportunity to review not one but three Ellie Claire art journals, Faith & Lettering, The Illustrated Word, and Illuminate Your Story. 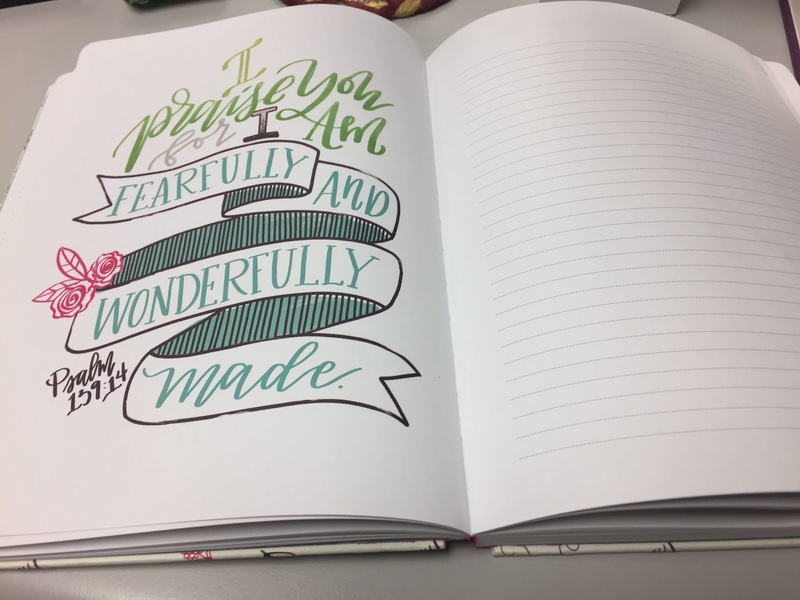 Each journal has similar lay-flat binding and thick paper but the interiors are unique and each one teaches and encourages a different form of creative expression of faith. 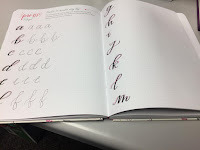 Faith & Lettering includes a nice introduction that lets you know that your pen can become a way of "declaring the Lord's praise" and that there are many ways to incorporate hand-lettering into your life both spiritually and practically. 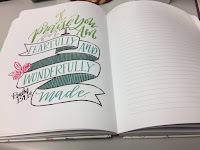 The purpose of this particular journal is to inspire you to reignite your devotional time, to imprint scripture upon your heart, and to help you dig deep into the word of God the creative way using the art of lettering. You can use this journal to practice the basics of hand-lettering, Bible journaling, and sermon sketch note taking. 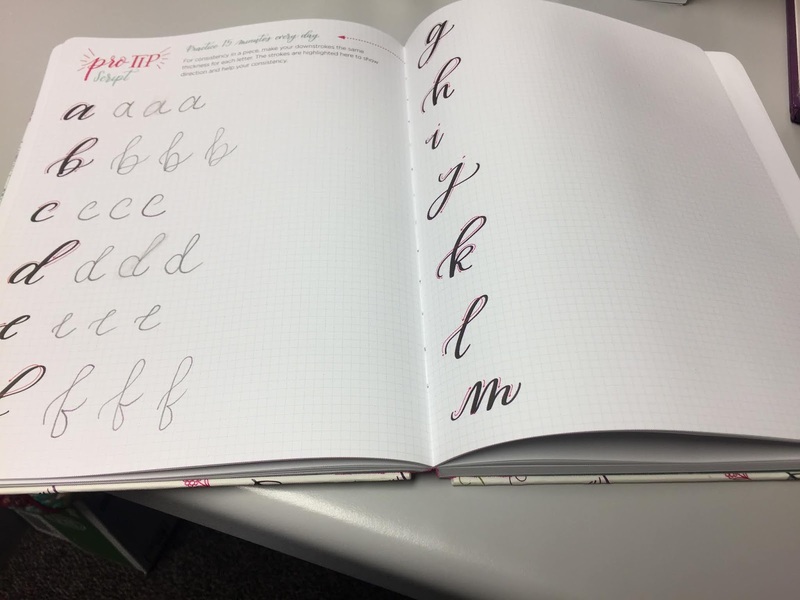 This journal offers you plenty of space for practicing your lettering and sketches. Some of the pages even include expert tips to help you do your very best. 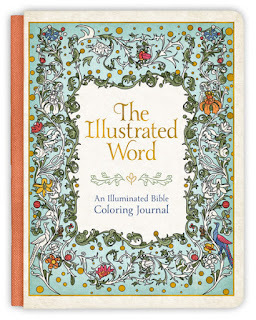 There are also beautiful and uplifting Bible quotes all throughout this journal. The pages are thick and strong but I did find that permanent markers tended to bleed through the pages somewhat so it's probably best to use a pen, pencil/colored pencil, or crayon instead. There is also elastic material on the spine of this journal for holding your pen, pencil, etc. 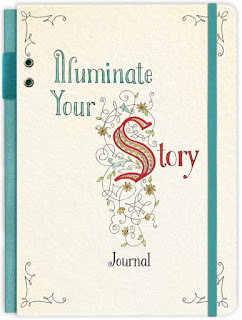 Illuminate Your Story includes a brief introduction, as well as a history of illuminated letters. You will learn how many illuminated letters survive within manuscripts from the Middle Ages and the Renaissance and how the style of these illuminated letters and manuscripts changed throughout history. 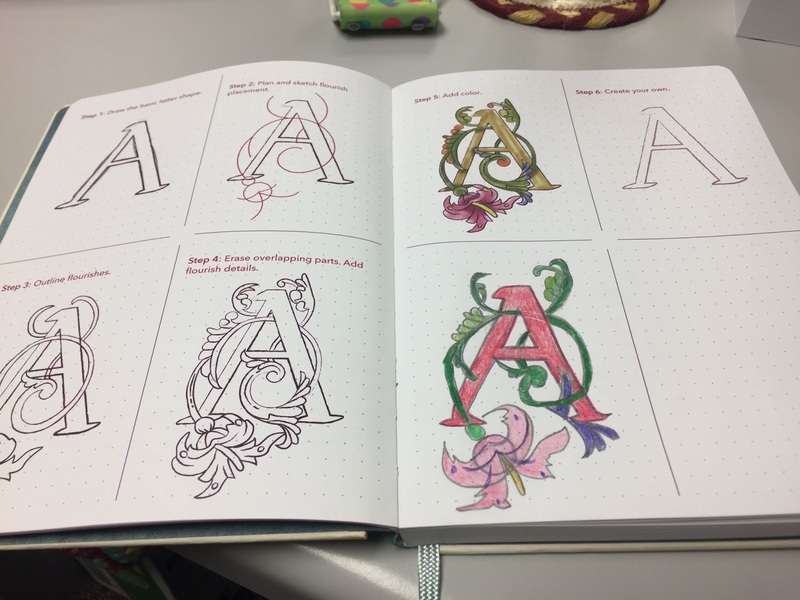 This particular journal includes step-by-step visual and written instructions that are easy to follow to guide you through drawing and creating the alphabet in illuminated letters so you'll soon be able to add gorgeous images that add beauty to your story. It also provides Bible versus or quotes for each letter of the alphabet to practice on. The pages are very thick and strong and are best suited for pen, pencil/colored pencil, or crayon as marker tends to bleed through somewhat. This journal includes elastic material on the spine to hold your writing instrument, as well as an elastic band that will help to keep your journal closed. There is also a page marker and a folder in the back for keepsakes. 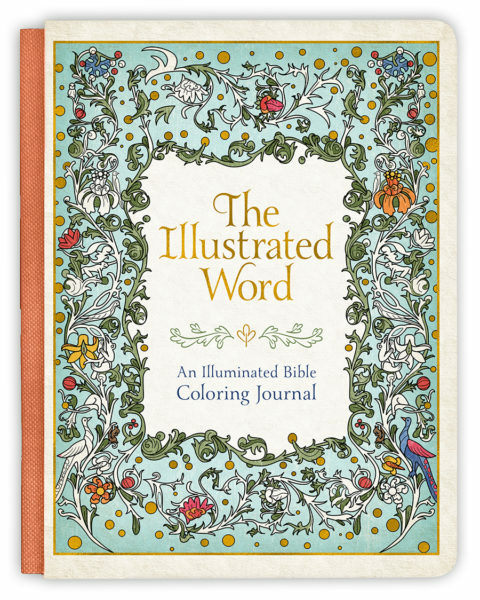 The Illustrated Word is a coloring journal. 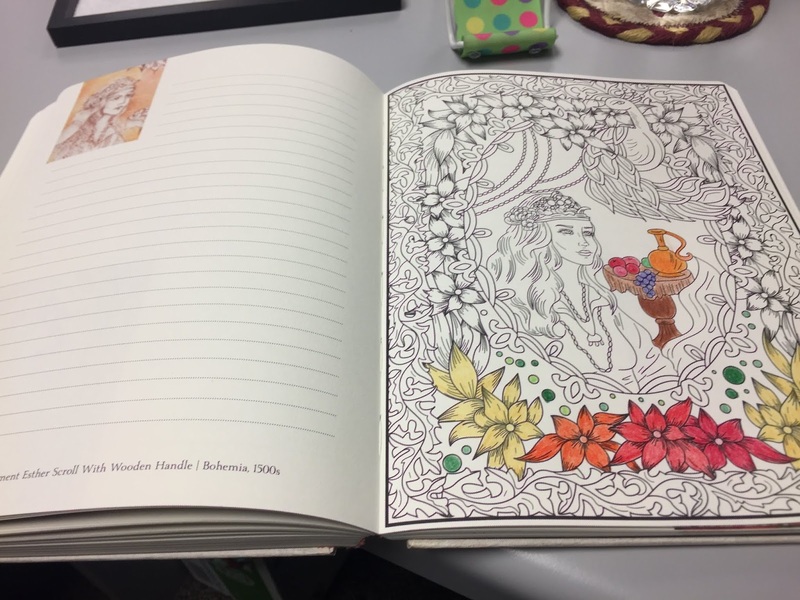 It's more like a traditional journal where you write down your thoughts or even doodle but it also includes forty illustrations recreated as line drawings that you can color. The illustrations are very intricate and beautifully drawn. I think one should never feel too old for coloring and I personally find it to be very relaxing. The cream colored pages gives this journal more of a vintage feel, which I love. 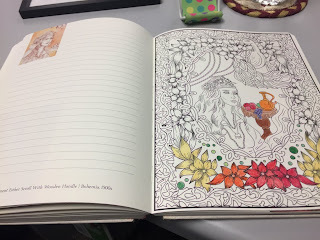 The pages in this journal are also very thick and strong but are best suited for pen, pencil/colored pencil, or crayon as marker tends to bleed through somewhat. 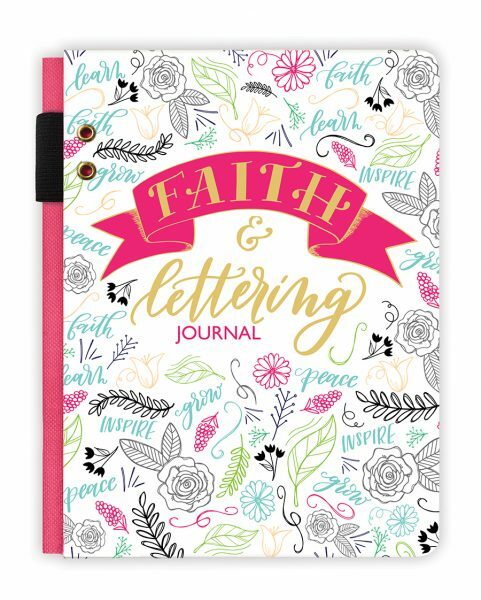 This is also the perfect journal to use to show off your lettering skills after you've practiced using the Illuminate Your Story and Faith & Lettering journals. I actually have a journaling Bible at home but I've been extremely hesitant to actually use it because it's so beautiful that I don't want my messy handwriting or muddled doodles making it look unsightly. However, because of these three journals I have found that the art of illumination is not lost today but flourishes with individuals who practice the art and these journals are indeed great practice. Follow Ellie Claire on social media to find out more about their products and where you can find them!